of the amazing Mrs M, as her staff so fondly liked to call her! After a long and happy marriage to Gerald McGrath, which ended all too soon with his sudden death from a heart attack, she found she had to console herself by doing something special with her life. Many years of holidaying together overseas in Relais & Chateaux hotels gave Liz the impetus to try and turn the old Lookout Hotel, which they owned, into an exclusive small Country House Hotel. The Plettenberg opened in 1988, after extensive alterations and refurbishments. Two and a half years later, the hotel was invited to become a member of the Relais & Chateaux. Four years later, prompted by a newspaper advert for the sale of a nine room guest house in Constantia, Liz bought this property. A year later, The Hohenort Manor House came on the market, and Liz was able to put the two properties together again. The Hohenort building celebrated its 100 years in 2007. During a visit to Hermanus during the whale season she saw the Marine Hotel. Her love of old buildings and the joy of restoring them, got the better of her and and the Marine became her next project. Decor, food and gardening were Liz McGrath’s passions. She called them her addictions, and they helped her to create three magnificent properties, in exceptional locations. She was an iconic hotelier and was regularly heard saying she was only as good as her team and had an amazing gift of being able to pick the right staff that matched her positive can-do attitude. She took great pride in watching her staff grow and work their way up through the organisation. In 2008, Liz received The Woman of the Year Award, in Washington during the annual Relais & Chateaux Congress. This was followed in 2010 by the Relais & Chateaux Garden Trophy, an award for The Cellars-Hohenort’s nine acres of beautiful gardens. Liz was instrumental in bringing the annual Relais & Chateaux Congress to South Africa in 1996, and again in November 2010, when The Cellars-Hohenort hosted a gourmet dinner – a spectacular event, hosting many of the world’s Grande Chefs, who together were the proud possessors of 72 Michelin Stars. Executive Chef, Peter Tempelhoff, and his team received a standing ovation from these prestigious chefs, including Michael Roux, Raymond Blanc and Patrick O’Connell from America. As a result of the amazing food served at this event, Peter Tempelhoff was awarded Grande Chef status. He is the third chef to receive this award in South Africa. It was Liz’s ultimate achievement in her Hotel career. 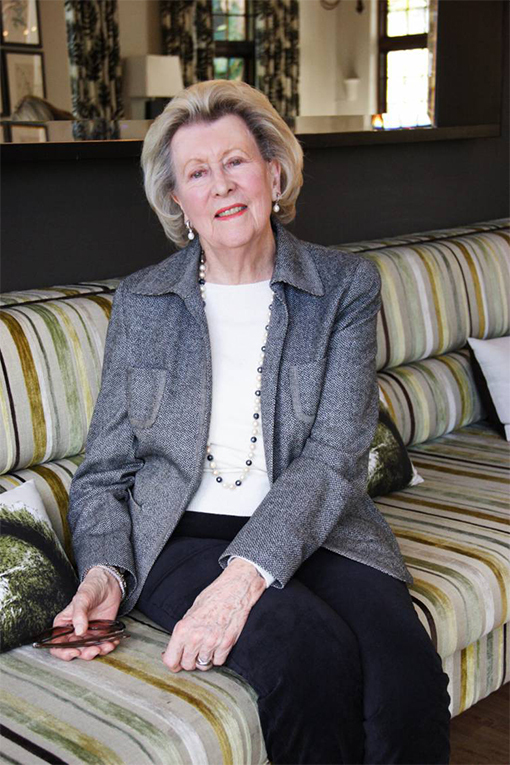 Liz sadly passed away on 24 January 2015 but her memory lives on across The Liz McGrath Collection.